A Bird of Prey company set up by Paul Finnigan and his family. After completing over 30 years in the British Fire Service, we decided to set up a Bird of Prey company to champion the importance of birds of prey to our ecosystems, their prey species and habitats, through education and engagement. I am massively helped out by my Zoologist daughter Jen, who shares my passion for all things wild, especially raptors. Jen keeps me right on all scientific and classification issues. The brains behind the organisation and the admin is, without doubt, my wife Lynn. She also shares our love of wildlife and conservation. Falconry is the sport of using trained birds of prey to catch wild quarry in the natural environment. We use falconry methods and techniques to train and exercise our birds. 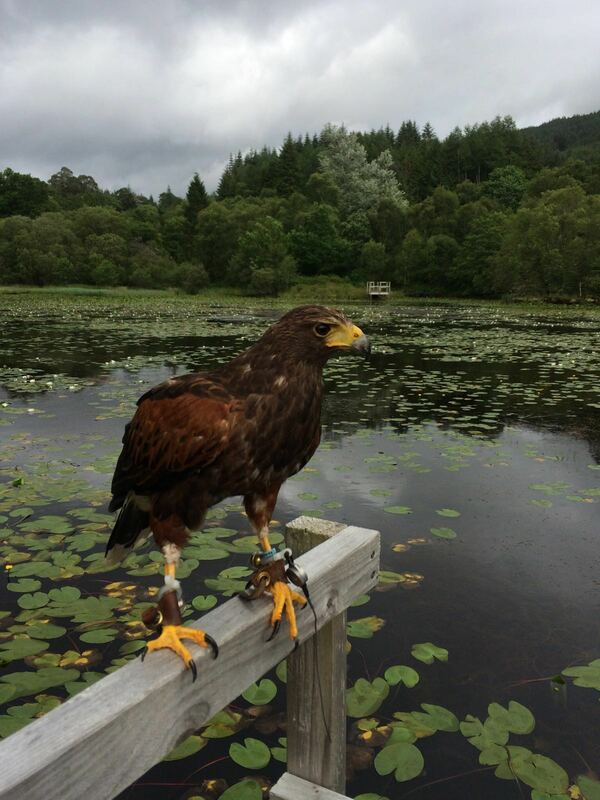 Sometimes though, particularly on Hawk Walk Experiences the Harris Hawks will occasionally catch things. This is done accidentally as we're not trying to catch anything, but this is totally natural for them.